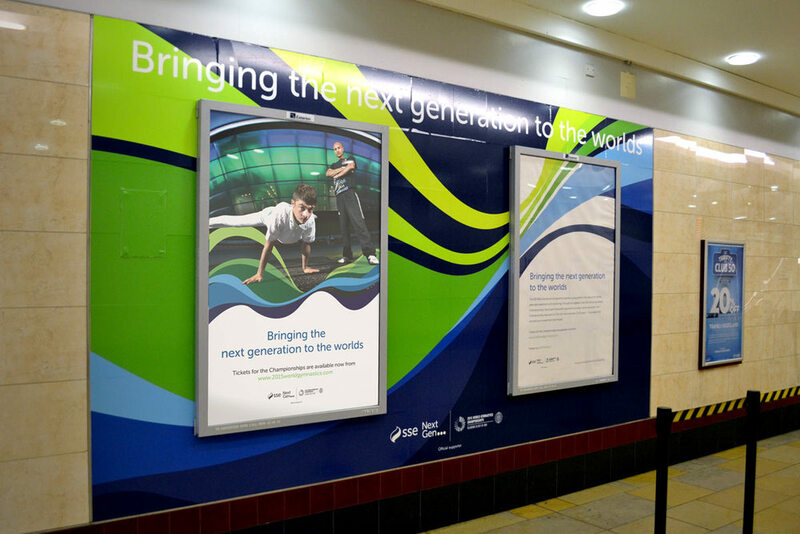 This project was created for SSE to promote their partnership with the World Gymnastics Championship. The SSE marketing department had sent over some promotional images they had commisioned and only other stimpulation was that the desgin had to feature the SSE swoosh. I wanted to create a design that was eye catching and met their guidlines so I manipulated one of the images provided of the gymnast and coach so that the energetic SSE swoosh interacted with the composition. I also positioned the swoosh under the two figures to highlight the idea that SSE were helping to support the next generation of athletes. 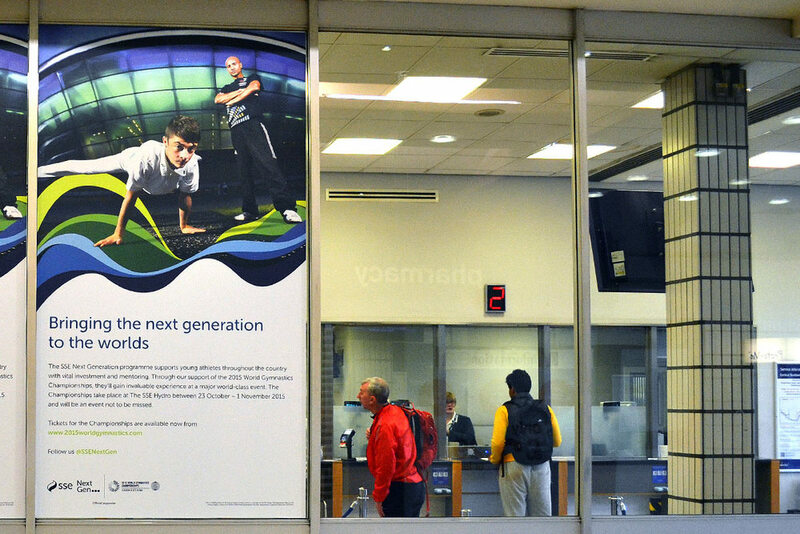 The branding was created and applied to print ads across the city and also a number of large format prints around Glasgow Queen Street station.